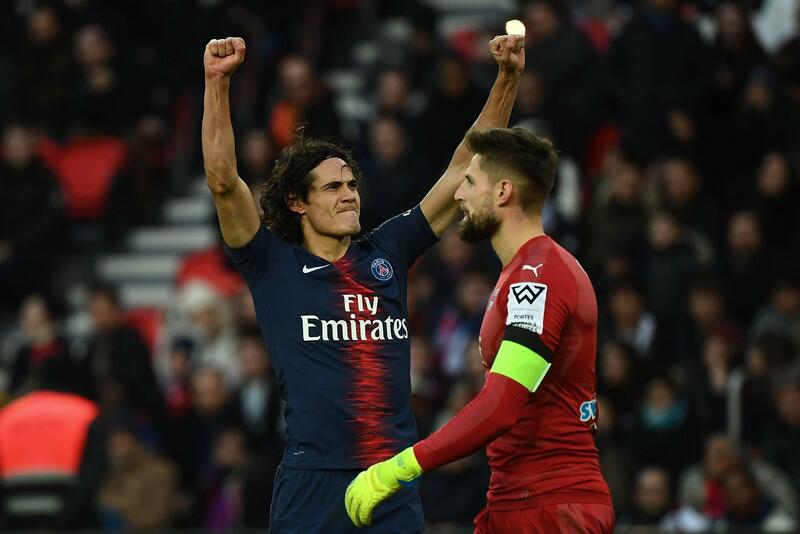 Home / Sports / More Woes For PSG As Cavani Gets Injured Days Before Champions League Clash With Man. United. More Woes For PSG As Cavani Gets Injured Days Before Champions League Clash With Man. United. Edison Cavani picked up an injury just three days before Paris Saint-Germain’s Champions League clash with Manchester United. The Uruguayan star, 31, was taken off at half-time of the Ligue 1 champions’ game with Bordeaux with a nasty-looking thigh injury. Cavani had earlier scored from the spot to give the Paris giants a 1-0 lead, picking up the knock shortly after and now may join Neymar on the sidelines. The Brazilian superstar is definitely out of the game as he faces ten weeks on the sidelines with a foot injury. Earlier this week, Neymar was seen on crutches at his 27th birthday party in the French capital. And he arrived to the Parc des Princes earlier today on crutches once again as he high-fived young fans while hopping on one leg. But now, out of PSG‘s fearsome attacking trio of Kylian Mbappe, Neymar and Cavani, only their youngster star remains. It is unknown as yet how long Cavani may be out for, if at all – but it seems unlikely he’d be risked midweek. United host PSG at Old Trafford on Tuesday night in the Champions League last-16 first-leg tie. Should Cavani’s injury not be too serious, he may be fit for the second leg, which is slated to be played on March 3 in Paris.